FAQ: I Want to Reserve My Spot, What’s Next? After searching for the right community, and planning for the next step in your life, you’ve finally decided to call Pennswood Village your home. So, what is your next step? The process of becoming a resident of Pennswood Village is made easier with the help of our friendly, experienced staff. 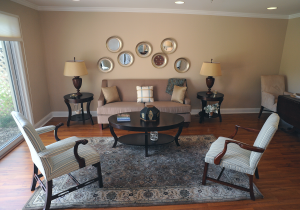 Each person moving to Pennswood is unique, and is often faced with circumstances, questions, and challenges that we are happy to talk about and suggest solutions. Our staff knows that moving can be fun and uplifting, but it can also sometimes be confusing, scary and unfamiliar. Our staff takes great pleasure in making your move as stress-free as possible by getting to know you and your expectations. 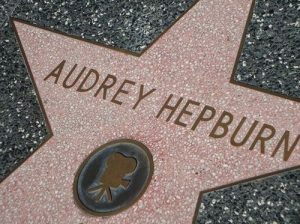 “Everything I learned, I learned from the movies,” iconic movie star, Audrey Hepburn once said. Movies are a widely popular form of entertainment at Pennswood Village, and the Film Committee strongly believes in Hepburn’s sentiment. Movies are a wonderful way to impart meaning to the mundane, evoke emotion, and teach us valuable lessons, as well as to simply provide entertainment. This belief in the importance of film and celebrating different types of cinema forms the backbone of what the Pennswood Village Film Committee aims to achieve with every film they project. Every week, three times a week, you will find a movie playing in Penn Hall. Fridays are typically family film nights, Saturday nights are for more mature, complex films, and Monday nights feature a more diverse showing of special interest films ranging from black and white classics, to musicals and cutting-edge documentaries.